On Friday, February 1st, Betty Bohannon, 90, moved into her eternal home with her Lord & Savior. She joins her husband of 66 years, Levi Bohannon, the absolute love of her life, who often called her “Sugar”. Her three daughters, Faye (Byron) Miller of Leesburg, GA, Jan (Jerry) Williams of Plainfield, IN, and Pam (John) Greer of Newnan, GA, proudly called her “Mama”. She was known to her ten grandchildren and 25 great-grandchildren as “Grannan”. Many of her friends affectionately knew her as “B-Bo”. Betty was born on November 8, 1928, and lived in the Savannah area until 1966 when her family moved to Albany, GA, then to Leesburg, GA in 1997. For many years in Savannah, she taught the 2 and 3 year olds Sunday School class at South Gardens Church of Christ. She dearly loved children and helped raise many by caring for them in her home while their parents went to work. Those children are the ones who named her “B-Bo”. She loved and cared for the elderly to the extent that she, later than most, at age 53 obtained her driver’s license for the sole purpose of driving her friends to appointments and to church. 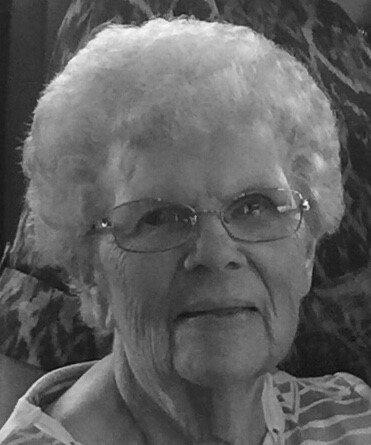 She was a faithful member of Albany Christian Church. The family is doing well and happy she has received her reward for a life well lived serving Christ. We all await the blessed day when we will be reunited with her and Daddy. A Proverbs 31 woman, she was more precious than jewels, the heart of her husband. She dressed herself with strength from her Lord and her light will never go out. She reached out to those in need and strength and dignity were her clothing. She opened her mouth with wisdom and taught us to be kind. Her children, grandchildren and great-grandchildren will continue to rise up and call her blessed. The family would enjoy seeing friends from 2:00 to 3:30 p.m. on Saturday, February 9th at Mathews Funeral Home in Albany, GA. A private family celebration recalling memories of her life will be held prior to the visitation. Mom loved teaching children about Jesus, so if you would like to make a donation in her memory, please send it to the Albany Christian Church Youth Program, 1501 Whispering Pines Road, Albany, GA 31707.